New York's Court of Appeals denied a motion by a group of banks and a litigation funder to appeal the dismissal of their $492 million fraud and mismanagement lawsuit against Hughes Hubbard & Reed client Portigon relating to structured investment vehicles managed by Portigon that collapsed during the global financial crisis. On Jan. 20, 2015, the New York Court of Appeals denied the plaintiffs leave to appeal a 2012 ruling by the New York County Supreme Court that was unanimously affirmed by New York's Appellate Division, First Department on Oct. 21. The group of banks—Bank Hapoalim BM, Arab Banking Corp. BSC, Mizrahi Tefahot Bank Ltd and Anglo Irish Bank Corp. Ltd—and special-purpose corporation Justinian Capital SPC sued Portigon in 2009, alleging they lost $492 million in two Portigon-controlled structured investment vehicles. They accused Portigon of mismanaging those vehicles and hiding information from them. The First Department had held that plaintiffs' claims were "fatally defective as to the damages and causation elements." The New York high court's decision to deny the appeal effectively brings the case to a close. 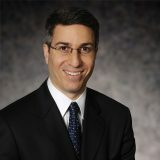 Chris Paparella led the Hughes Hubbard team, which included Marc Weinstein, Andrea Engels and Seth Schulman-Marcus.